Q: Will my insurance company work with Broad River Paint & Body? A: Broad River Paint & Body has great relationships with national insurers and we’ll stay in contact with your insurance company throughout the repair process. We are a preferred vendor for many insurance companies, which means we meet your insurer’s standards for quality, price and service. Q: Do you provide towing service? A: Towing service is available 24/7 with Broad River Paint & Body. And because we’re conveniently located off Greystone Blvd., we can get to the site of your wreck faster than most repair shops, so you won’t be left waiting. Q: Can you help me get a rental car? A: Yes, we can. We know a collision can be traumatic and disruptive. 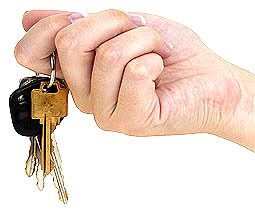 Let us take care of finding you a rental so you can get back home or back to work. Q: What are after-market parts? A: After-market parts are made by companies other than the original manufacturer of your vehicle. These parts are often significantly cheaper. Broad River Paint & Body is careful to select only those parts that are durable and the right fit for your vehicle. Q: What are remanufactured parts? A: Remanufactured parts are used parts taken from other vehicles and repaired. 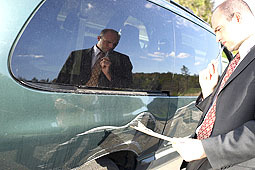 The can be a cheaper alternative than repairing a damaged part on your vehicle or purchasing a new part. We are careful to use only the parts that are right for your vehicle.